Today is #CharityTuesday and here at Ink n Toner UK, we’re incredibly proud to be in Partnership with Caring for Kids (Registered Charity No: 1117432). Caring for Kids is a registered charity dedicated to providing less fortunate children across the UK a better chance in life. Your empty cartridges will help to raise funds for Caring for Kids because cartridges which can be used again have a value. By recycling your inkjet cartridges with us, as well as doing your bit for the environment, you will also be helping making a difference to the lives of thousands of children throughout the UK. 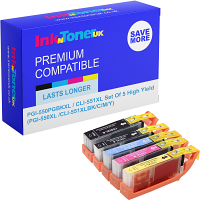 When you buy eligible cartridges from us here at Ink n Toner UK, you will receive a freepost bag for you send your empties to us to be recycled. Only certain cartridges can be re-cycled and therefore of value to Caring for Kids, so please read the instructions on the freepost bag carefully. Want to raise money for charity but don’t know how? Well here at Ink n Toner UK, we’ve come up with an easy cookie recipe for you to print out. Use it to bake these awesome cookies and sell them for a charitable cause! 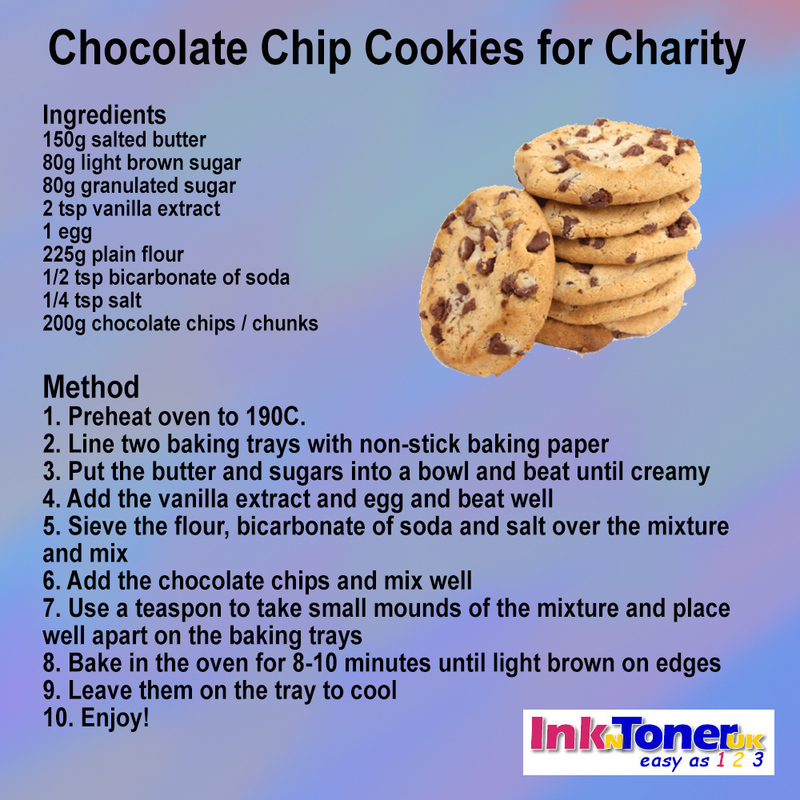 Need ink or toner cartridges to print out your charity cookie recipe? Here at Ink n Toner UK, we’re dedicated to providing you with the ink and toner products that you need for the most affordable price. Click here for ink cartridges and click here for toner cartridges. Click the image below to print out your charity cookie recipe!